Viking Security is a well-known security provider that makes use of an expert team that consists of over 300 employees. The company takes pride in giving attention to the development and training of its workers. 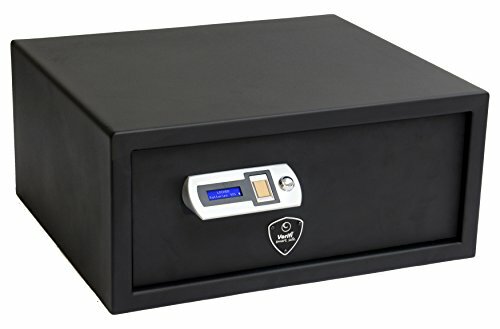 Counting on only on keys to open safes was a great think of the past while having Viking VS-25BL Biometric Safe,you can open this safe in less than a second by using a PIN code, fingerprint, or a key. Viking Security takes care of all ISO 9001:2015 and ISO 14001:2015 regulations, and has all certifications of environment conservation techniques. 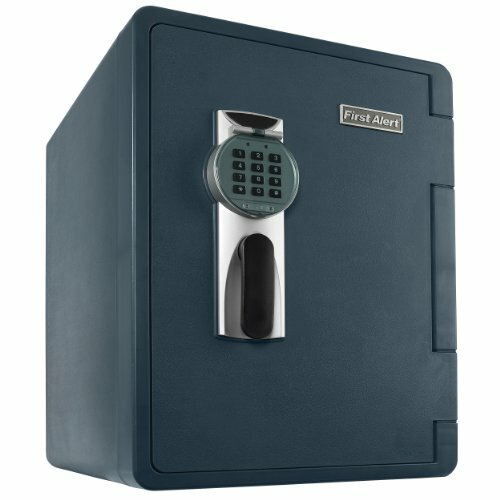 Moreover, it is a user-friendly safe as it provides a great combination of LCD, Fingerprint Reader, and an optical sensor. It is laser cut and embraces an aesthetic look and scratch resistant powder coated with an exceptional, seamless welding. You don’t need to worry about the program loss due to its non-volatile memory as it can hold all programmed settings even if you remove the batteries. Viking VS-25BL Biometric Safe comprises a safety mechanism to make sure that you lock your safe i.e. if you leave it unlocked it would produce a warning beep sound to alert you. However, you can operate it in either silent mode or with sound. 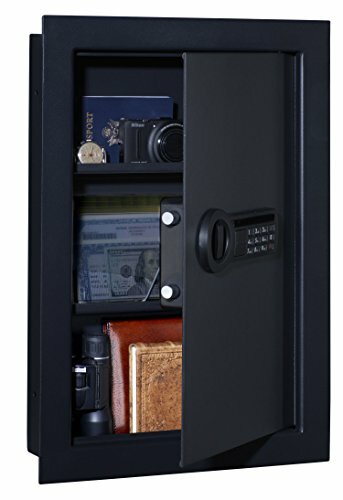 The VS-25BL vault provides you with a high-quality locking system that relies on a 500 DPI optical fingerprint scanner, numbered digital keypad, and an LCD screen. Viking Security gives you the option to save around 32 individual fingerprints and one PIN code. 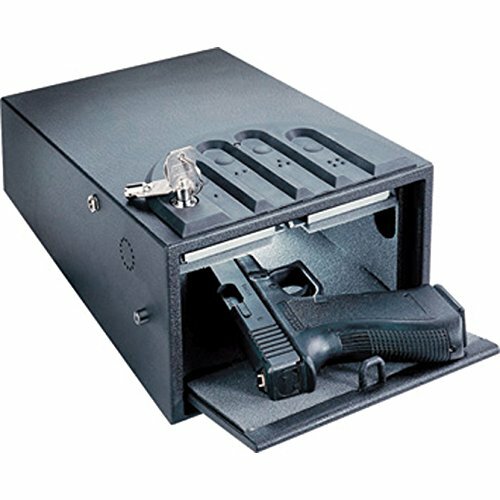 Viking Security’s pry-resistant military grade design is definitely something that everybody would appreciate who needs high quality gun safe. 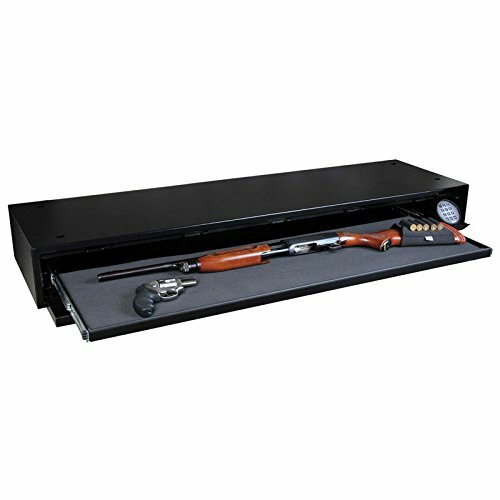 The Viking VS-25BL security gun safe comes with a 5mm steel door that involves two pry-resistant insertion slots as well as a motorized deadbolt locking mechanism. 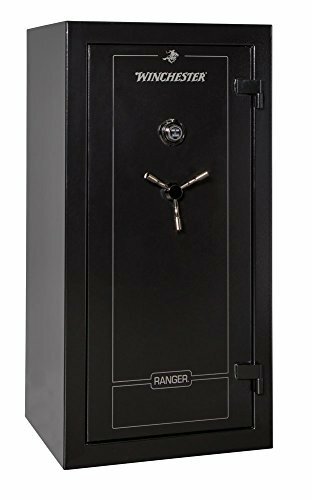 Unwanted people prying and trying to open your safe is a legitimate concern for all gun vault manufacturers and buyers, so this safe makes sure to provide a comparatively great deal of anti-prying durability. The resistance of the bolts is very sturdy, and the door space is ample for regular mechanical tools. 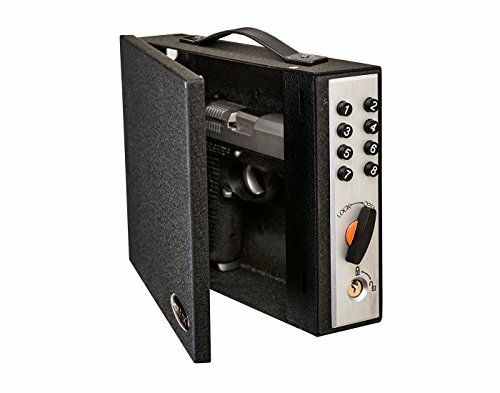 One primary issue with the safe is with its door system. While a digital keypad will warn the client if the door is kept unlocked, people feel that the bolts don’t secure the door, unless you make sure to close it in a specific way. That said, the method by which the door closes is less crucial than the way it opens. Even so, several users feel that is a pointless problem to deal with. This is because Viking Security focuses more on the strength of the bolts, which is really needed for prying resistance. Even with this one major concern, this Biometric Safe is still pretty secure. However, you can know for certain that individuals trying to pry the safe open, getting an alert about that won’t be delayed. If the safe door is closed but not fully lock, a warning alarm will sound that alert the user to start the safe’s locking mechanism. 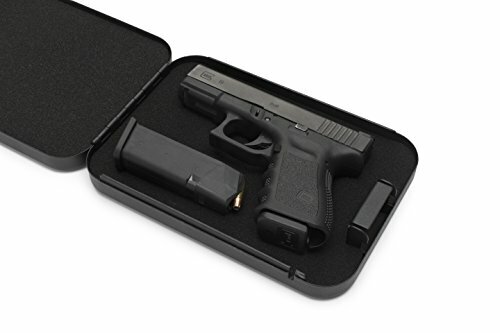 The audio can be switched on or off, which is super helpful if individuals want to regulate a specific degree of alertness while using the safe, especially during stressful moments. 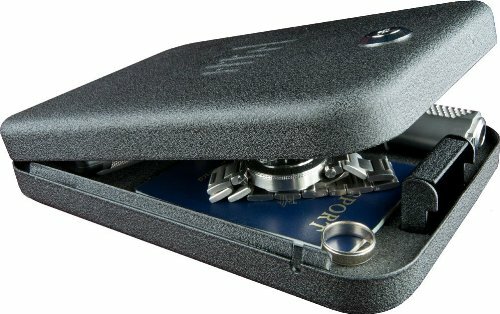 The vault memory with its programmable fingerprints and codes will remain safe even if the batteries run dry. 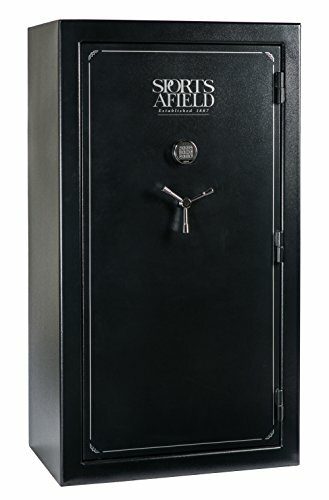 With regards to style and design, the Viking VS-25BL safe makes use of a black scratch-resistant powder covering that many find to be ineffectively scratch-resistant. Generally speaking, most of the paint can easily be chipped away in certain places, but the remainder of the safe tends to show a better design quality. 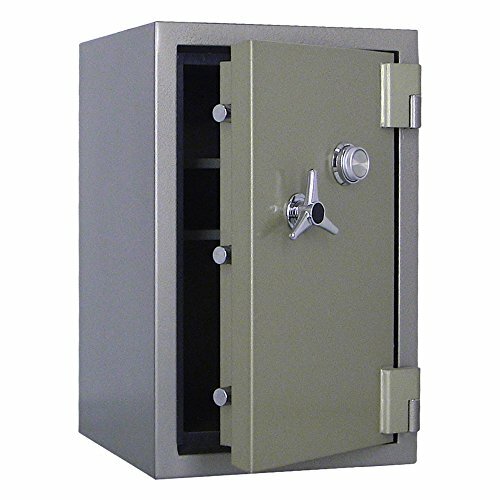 The 5mm steel door is definitely an attractive feature, and the anti-pry insertion slots add to the safe and secure design that most individuals are looking for. The mechanical bolts are additionally 20mm thick to offer the door with a level of strength that typically isn’t present in other safe models at a similar price range. 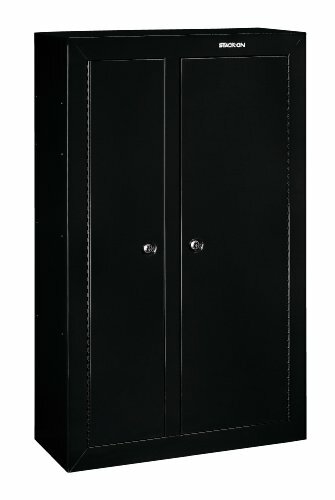 You don’t get the same look as a full gun vault, but it does great for a two-pistol safe. The vault embraces a 500 DPI optical sensor and a biometric fingerprint reader. 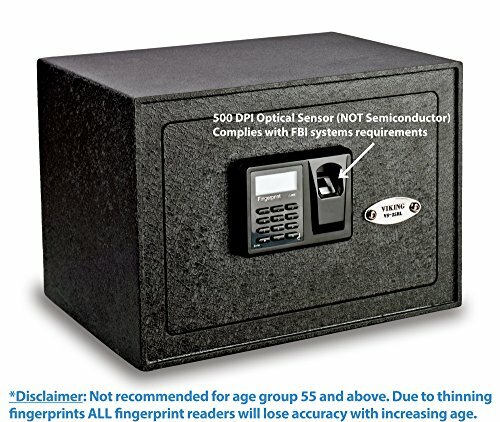 With this scanner, you can capture 32 fingerprints and get access within seconds if used properly. Along with this fingerprint reader, the safe also comes with a digital keypad and an informative LCD display screen. People can program a 4 to 8 digit passcode into the non-volatile memory, which allows the door to open in the same amount of time as the fingerprint scanner needs to scan a fingerprint. 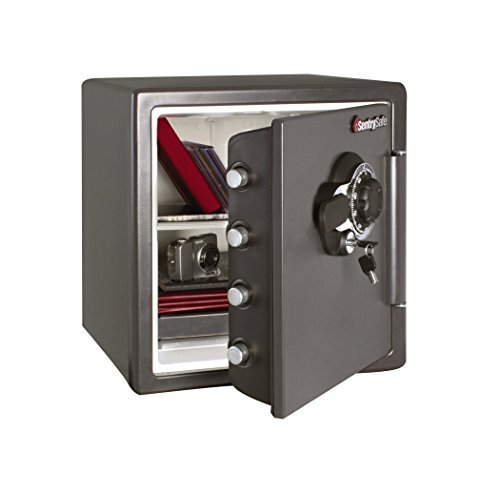 As with similar small gun vaults, the Viking VS-25BL is a budget-friendly simple regular safe. The biometric fingerprint reader works well, but make sure you scan your finger properly on it. The LCD screen and keypad ensure you get a decent degree of efficiency to help program fingerprints and key codes. The front of the door also comes with a discreet key lock below the brand name so that the safe offers a maximum of three options of entry. Quickly accessing the safe is pretty easy, and the keypad and biometric fingerprint reader work well to provide quick entry without any issues. 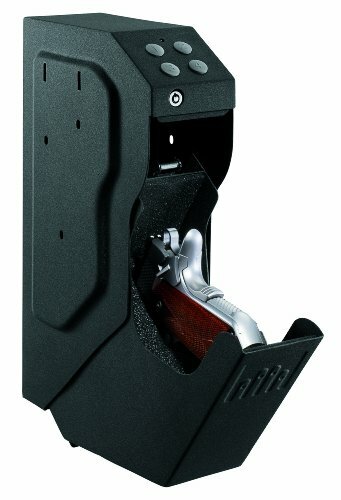 The Viking Security VS-25BL comes with features that aren’t present in any other safe at this price. Having a self-lock door that gets lock instantly as it is closed is imperative. Moreover, the vault makes a beeping sounds if kept open over a long period of time because it contains an alerting mechanism. It is necessary for the keypad to be illuminated since sometimes users are going to open it at night as well. 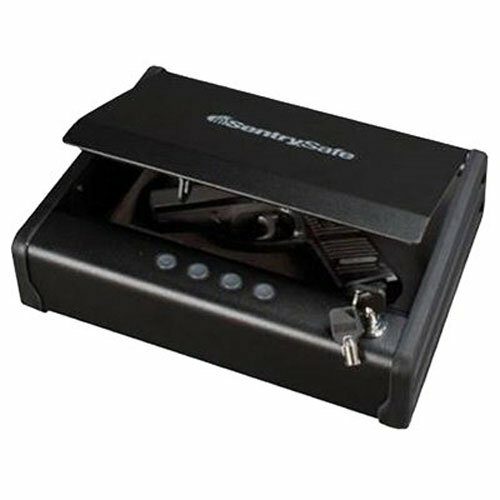 It lights up and that makes it easy to enter the code and open the safe swiftly. Besides that, a biometric keypad that functions by storing 32 fingerprints in a non-volatile memory is quite impressive.Its Optical Sensor would only recognize the recorded fingerprints, which makes it a reliable safe. A roomy interior with an adjustable shelf and LED lighting makes it more interesting. The vault’s solid construction is heavy enough to avoid being easily stolen. It can be fixed at a particular place so that it can be hard for anyone to steal it from that place. Its size offers you great flexibility to mount it almost anywhere. Viking Security VS-25BL is the impeccable storage solution for your jewelry, small electronics, imperative documents, and other valuables. It can be opened using your fingerprint, keypad code, or a convenient cross backup key. Furthermore, the VS-25BL comes with 2 Backup Keys, 1 User Manual, 4 Anchor Bolts, 2 AA batteries for LED light, four AA batteries, and an Allen Wrench. In addition to that, it has an LCD screen to make you aware of the status of the safe such as its battery life. There are no actual battery problems that users complain about this safe. So, you can use any kind of battery to make it function. While it is something of a problem to have to use the # or * keys to close the door but the added security makes up for these small flaws. With that said, the Viking VS-25BL is definitely your go-to safe for your valuables and guns to stay safe and ready for anything.